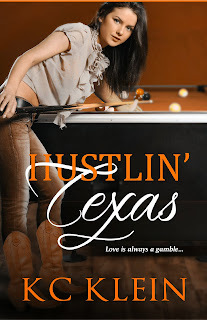 Happily Ever After Thoughts: KC Klein with a Giveaway of Hustlin' Texas! When Characters Don’t Do As They're Told. I’ve learned a lot about myself while writing. One of the big lessons, and possibly the hardest, is that I am not in control. As an author this lesson is pretty much drilled into you from the beginning. Once you’ve signed over your baby to a publisher you’ve pretty much given up any semblance of control. Cover control: Ha, think again. Editorial control: Pick your battles. But the one thing I thought I had a handle on, the one creative piece that really truly was my own, was just another thing I didn’t have control over—“The Story”. The problem came in the form of feedback from my then agent and crit partner. Nikki was too harsh. She wasn’t likable. The self-depreciating humor was a turn off. How could anyone relate to her? The suggestion was to go back and make her more likable. She’s right. So I went back to “fix” what was wrong. The problem was Nikki kept coming out the same way. More smart-mouth. More attitude. And way more issues. I started the beginning of Hustlin’ Texas over three times with no better results. I finally put the book aside and admitted to myself that I couldn’t write a contemporary romance. A few months later my agent called and asked me where the story was. Umm…ahhh…not finished. 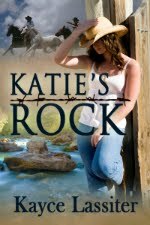 I had stopped writing because I feared that I didn’t know how to write what the contemporary romance market wanted. My then agent wasn’t impressed. Between there and here there were some long twisting events that eventually led me to submit Hustlin’ Texas to my editor with Nikki in all her original glory. The fact was the more I tried to change, or lead, the story a certain way the worse the story got. The conflict got lost, and I got bored. As I write this I wish I could say I’ve learned my lesson. That I learned to stop trying to force things and got out of my own way. The next book in the series has officially taken the cake as the hardest book to write. I got mired in the same problem. I listened to others opinions about the story before I had it firmly in my head. I tried to change the story, control it, but as we all know that doesn’t work. I think the biggest lesson is we aren’t in control. Sometimes we have to trust the process. Sometimes, ok for me most of the time, I’ve got to let go. There’s something about the charged energy a writer gets when they stop creating and just start being the vehicle that gives the story life. I found I like the thought of control more than I’d realized, but I like a finished manuscript even better. 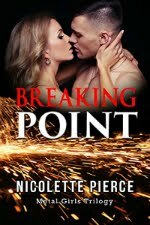 I hope you like Jett and Nikki’s story. I like to blame my first gray hair on Hustlin’ Texas, but for my readers I just hope they have a few enjoyable hours. Thanks for letting me stop by, and please leave a comment to enter to win an e-copy of Hustlin’ Texas. KC Klein has lived most of her life with her head in the clouds and her nose buried in a book. She did stop reading long enough to make a home with a real life hero, her husband, for over sixteen years. A mother of two children, she spends her time slaying dragons, saving princesses, and championing the belief in the happily-ever-after. Her debut novel, Dark Future, is a finalist in the 2012 Prism contest and has been honored with a reviewer’s choice award. 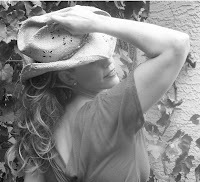 Her other titles include a sci- fi, 2012 RONE award winning romance anthology, Hotter on the Edge, and the first two books in her Texas Fever contemporary romance series, Texas Wide Open, and Hustlin’ Texas. KC loves to hear from readers and can be found desperately pounding away on her laptop in yoga pants and leopard slippers or more conveniently at www.kckleinbooks.com. And don’t forget to leave a comment for a chance to win Hustlin’ Texas.